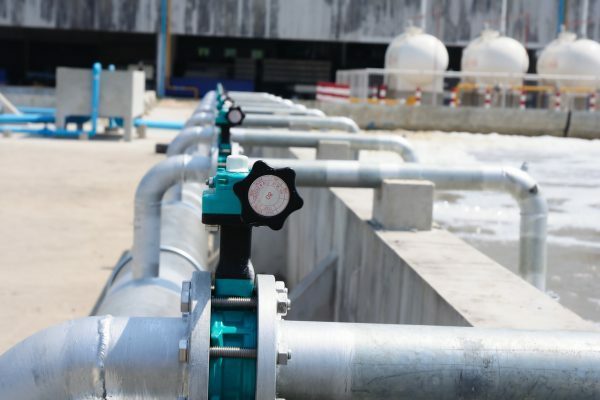 Today there are more instances than ever of facilities successfully reusing brine waste, however, there is still a relatively narrow set of circumstances where brines can be effectively reused. This article will provide an overview of the most common ways facilities recycle or reuse brine waste and point out some constraints that you may need to consider in weighing your options. There are a number of brine waste disposal options, though many of them are controlled by permits and environmental regulations. Additionally, recent public attention to issues of water scarcity and environmental responsibility have spurred increasing public and regulatory scrutiny of popular brine disposal methods, including discharge to bodies of water as well as deep-well injection. Where discharge costs and limitations are concerned, brine waste reuse and recycling strategies can provide several benefits, such as reducing wastewater discharge volumes or allowing facilities to increase production volumes while staying within discharge permit limitations. Additionally, some facilities have seen a net cost savings by supplementing fresh water demand with waste brine, especially in regions where access to source water may be costly and unreliable. The feasibility and cost of brine reuse and recycling can depend on a number of factors, including facility location, brine constituents, and volume. 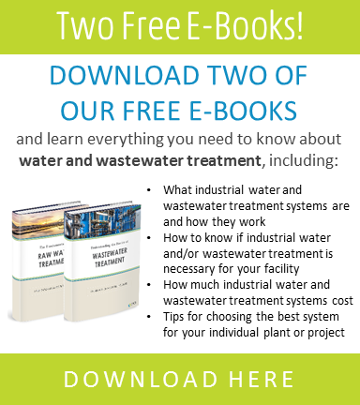 Commissioning a treatability study is one way to get a better understanding of the salinity levels, as well as metals, total dissolved solids (TDS), and other contaminants present in your waste brine so you can better determine whether brine waste treatment for recycling and reuse is a cost-effective option. Caustic soda (sodium hydroxide) and chlorine are used extensively across industries ranging from oil and petroleum refineries to pulp and paper manufacturers. Production of these chemicals involves electrolysis of a sodium chloride brine solution, a process which involves consumption of large volumes of brine waste as well as large quantities of energy. To improve overall efficiency, acid and caustic producers have implemented brine electrolysis recovery strategies, allowing for reuse of brine waste through multiple electrolysis cycles. In other cases, mining operations and other types of facilities have successfully leveraged their brine byproducts by repurposing them for acid and caustic production. In this way, some facilities are able to consume a portion of their brine waste streams, while simultaneously producing chlor alkali products that can be used or sold. Brines resulting from both ion exchange (IX) softeners and reverse osmosis (RO) systems can be treated and reused for additional IX softening cycles, thereby reducing overall water and salt consumption. Brine waste reclamation setups capture a portion of used brine, treat it (if necessary), and return it to the brine tank during IX resin regeneration. While brine recycling can be a great way to improve softener efficiency, it is generally viable only for softeners that use a high salt dose and that have a relatively high sodium chloride concentration following an active cycle. Additionally, brine reuse can result in an even more concentrated effluent that can be more difficult or costly to discharge. In some cases, waste brines can be applied to land for irrigation and agricultural purposes. Generally speaking, waste brines used for agriculture must have relatively low TDS and be free of toxic constituents, such as heavy metals. In some regions, reuse strategies have included application of waste brines to salt-tolerant plants. Alternatively, some facilities have been able to leverage waste brines to produce liquid fertilizer, especially for brine waste streams that contain a mix of sodium and hardness. In this case, the brine is typically treated through an IX process to selectively remove sodium, while retaining hardness that is valuable to plant development. In an effort to cut discharge costs, some facilities have begun offering waste brines to cities and municipalities for treating roads threatened by ice, snow, and dust. Circumstances vary—meaning that different regions or municipalities may be more or less willing to accept waste brines for road treatment—because certain constituents, such as naturally occurring radioactive materials and chemicals from fracking or other processes, can be present and potentially harmful to the local environment or water supply. In some cases, however, local governments are willing to pay facilities for their waste brines, such as liquid waste brines from cheese production, mining, gas production, and other industries for use in road-treatment applications. Solid salts can be recovered from brines through zero liquid discharge (ZLD) systems. These typically consist of a brine concentration step, followed by crystallization, and a solids dewatering step. While ZLD technologies can be costly, they are effective in eliminating wastewater discharge costs, and can be leveraged to produce solid salts. Brine byproduct salts can be used or sold for a variety of industrial applications, such as detergent manufacturing, dyeing, chemical production, curing, water treatment, and deicing, among other uses. While commonly used by power plants, oil refineries, chemical plants, and other facilities, cooling towers often consume large quantities of water. With proper treatment, recycled brine can be a great solution for reducing water use in cooling and thermal equipment. Recycling brine for this purpose will generally demand some form of cooling tower water treatment to minimize corrosion and scaling, which can include reduction of salt content, chlorides, phosphates, sulphates, and oxidizing bacteria. Recycling for cooling applications is limited by the salt concentration and other contaminates, as it inhibits heat transfer and may cause foaming. SAMCO has over 40 years’ experience in identifying appropriate brine waste treatment solutions to help lower costs and waste volumes while increasing recycling and reclamation of valuable materials. For more information or to get in touch, contact us here to set up a consultation with an engineer or request a quote. We can walk you through the steps for developing the proper solution and realistic cost for your brine waste treatment system needs. To learn more about SAMCO’s innovative technologies that we commonly apply for spent brine stream treatment, visit our pages on reverse osmosis and ion exchange resin systems.